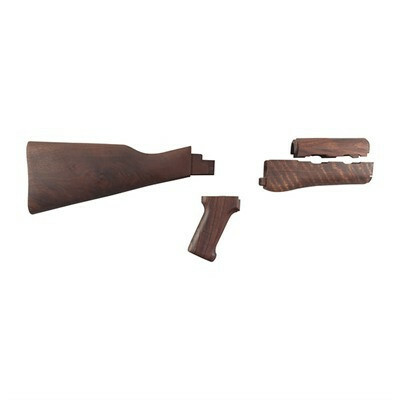 We're now stocking some of the OEM (original equipment from the manufacturer) walnut stocks many modern reproductions use on their new rifles from an Italian supplier, Minelli. In case you don't know who Minelli is, they make approximately 600,000 stocks per year ranging from the military wood you see here to some of the fanciest wood factory stocks you can imagine for names like Weatherby, Beretta and Krieghoff to name a few. I believe they are the biggest stockmaker in the world. They'd be great on any rifle, new or old!